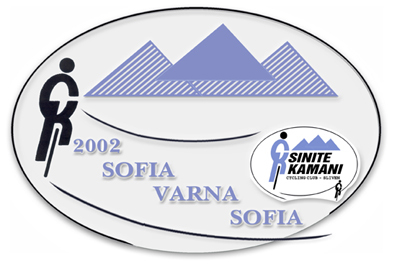 1200k of Sofia-Varna-Sofia is back again in June 2004! 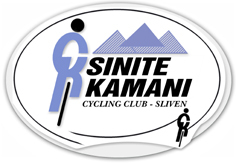 - The general guidelines for events of 1200 km or more remains the rules for Brevet de Randonneurs Mondiaux (RM*) promulgated by Audax Club Parisien (ACP*). - SVS must be completed in 90 hours. The 90 hours rule is applied with the opening and closing time of control points based on the formula developed by the ACP and used for the Paris-Brest-Paris. - Each rider must check in and check out of every checkpoint and get his/her SVS Passport signed by SVS Staff. Failure to have a staff signature from each checkpoint along the SVS route will result in disqualification. - No follow vehicles are allowed. - Support vehicles must follow an alternate route. Support vehicles on the rider route will result in rider penalties. Multiple infractions of this rule result in rider disqualification. - Riders may only accept mechanical assistance from the SVS Tech Support Staff on the SVS route. Riders may accept other support at checkpoints. - Reflective vests are mandatory at night. - Helmets are strongly recommended. - Each rider must comply with lighting requirements and reflective material rules for riding at night during the event. - Each rider must pass bike inspection. 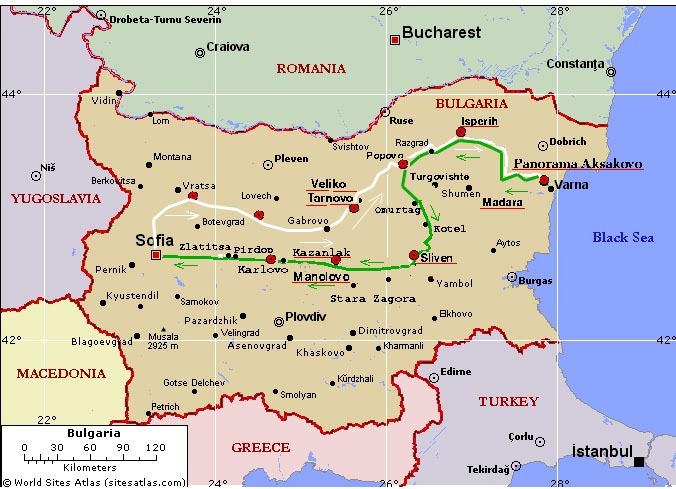 It will take place on Wednesday, June 16, in the Garden between Slavyanska Beseda and Serdika Hotels (behind the Parliament -see the map in the Start/Finish section of the site), in the center of Sofia, from 11:00 till 12:00. Failure to pass bike inspection will prevent the rider from participating in the event. - Each bike must be functional and equipped with superior headlights and taillights. A dual headlight system is recommended, with several spare batteries, and a solid red taillight. Use of flashing taillight is not allowed. - For lights requiring AA batteries or smaller, the rider must carry a spare set and display them at bike inspection. A spare bulb is required as well. - If a rider abandons, he/she is responsible to notify SVS staff by calling the 24-Hour Emergency Telephone number printed on the SVS Passport and Route Sheet. - Riders who abandon are responsible to find their own transportation back to the start. - No refunds for no shows. Start time: 4:00 Thursday June 17th. Accommodation: free bunks or blankets at each control point except Kazanlak. On the turning point Varna there will be tents. Hotel rooms available at the controls of Sliven and Hotel Trapezitza. Madara and Isperih are tourist chalets. Feeding: commercial at each control point and many other recommended places - at a very low price. Drinks and some free food at cost SVS at each control point. and here is the news: we are currently working on the technical issues of a free SVS movie on CD! 3. Sending the entry form does not require instant payment. 4. You can pay when you are sure you will participate. No field limits.